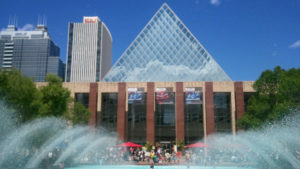 With summer hitting early and fast in Edmonton, the anticipation for the return of Accidental Beach is already high. Will it rise from the river again? Even though the City has been kicking around ideas for getting more people close to the North Saskatchewan for years, the instant popularity of Accidental Beach solidified this as an action item. The temporary sandbar in Cloverdale has sparked official plans to add a beach to our urban riverbank. The long summer nights mean more people out on the street later, and adding public washrooms would be a great idea for our busy core neighbourhoods. As Edmonton works to become the most child and family-friendly city in the country, the City is looking at how it can add child care to its many buildings. I’m not an east-ender so the the 50 Street overpass is just another traffic project to me, but I get that this is a big deal to people who use 50 Street on a regular basis. While spending close to $90-million on a road project usually gets a  from me, I don’t think we should have rail traffic zipping in and out of major cities without over and underpasses. We’re just too big and busy for these kind of old-timey delays. Expect the construction work to cause more delays for you 50 Street drivers though. In other traffic news, more people were involved in collisions last year and more people died. THE WAR ON DANDELIONS is back. I’m sure this is serious business to other journalists but I just can’t even. Will Edmonton join a growing number of cities to ban or greatly reduce our use of plastic bags? St. Albert city council is considering creating a municipal utility corporation (think about the relationship Edmonton has with Epcor). They are also considering replacing diesel buses with electric, which is an excellent plan. City councillors should remember that everyone who rents or leases homes and offices is important. So, if St. Albert wants to add a fee to electricty bills that’s fine, but attaching a corresponding property tax cut isn’t fair. They also seem to be forgetting that everyone who lives in the city is a resident, regardless of whether they own property. Councillors are having trouble figuring out how to audit themselves. That city council is also looking at ways to implement recommendations from the Truth and Reconciliation Commission. An urban chicken program is just wrapping up in St. Albert, with the possibility of more hens hinging on a report coming after June. Edmonton’s urban chicken program is stalled out at 50 licenses. Fort Saskatchewan is trying to figure out how to charge for water use. That municipality has had a lot of trouble with water bills. There’s a major campaign underway to preserve more of the Beaver Hills area. 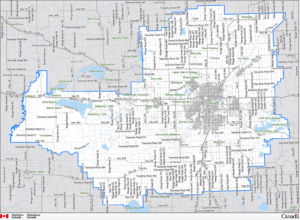 While Strathcona County unveiled its “crystal clear” and not-at-all “ambiguous” priorities for 2030, it should add inclusive hiring to the top of its list. 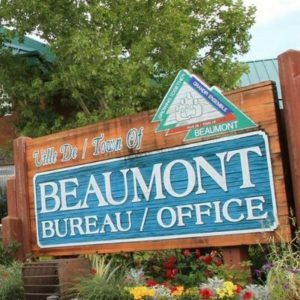 Beaumont is not sure it wants to be a city. Edmonton Airport staff need to learn the rules for service animals. Here’s a handy guide for EIA staff, and everyone in Alberta: service animals are allowed in. Could Spruce Grove have only 5 cannabis stores? It sort of came on quite quickly, but rail company CN is now twinning rail lines to Edmonton’s west. A Stony Plain goaltender is challenging soccer’s gender-divide. It doesn’t feel true some days, but not everyone in Oil Country wants more pipelines. And the Edmonton area is well-represented among the new members of the Alberta Order of Excellence. Plans for the Northlands Exhibition Lands are now in the hands of the City. 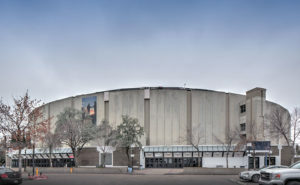 Two proposals are making their pitch public, and at least one very much includes keeping the old arena around. Of course, city council has already said the arena won’t re-open for any purpose, but never say never I guess. Meanwhile… at our new arena, a few dozen jobs are cut. Timing related to the quiet NHL playoffs (and silent arena bookings) is entirely coincidental. There’s also word on the street (and in a paywalled Globe and Mail article) that Stantec and Edmonton Towers are already for sale. This is a pretty cool music app developed here in Edmonton. After a few years stuck in the mud, Edmonton’s riverboat is ready to sail again. If Accidental Beach returns, this is really going to make Cloverdale a hotspot. Summer is when we have all the farmers’ markets running at full food capacity, and they’ve really become the new testing ground for food entrepreneurs. 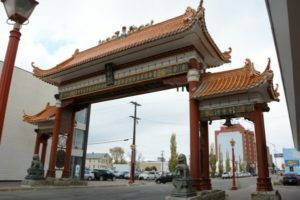 There’s a request for the City to fund a new Chinatown organization, and build a new Harbin Gate. I’m not feeling good about holding a lottery for marijuana shops in Edmonton. Does this subvert the detailed licensing required by the AGLC, would it create a secondary market, like we have with taxi plates? I am feeling good, however, about moonshine being closer to Edmonton. And West Edmonton Mall will lose its title of largest mall in North America when its owners finish a new mega-project in Florida.